In honor of the Independence Day holiday, I thought I’d share the amazing blown glass and handmade pottery made by American artisans from Simon Pearce. I wasn’t familiar with Simon Pearce products until I came across an article on American-made furniture and home decor products called “The United States of Style” in the July 2012 issue of Good Housekeeping, which featured Simon Pearce dinnerware in a few of the photo spreads. 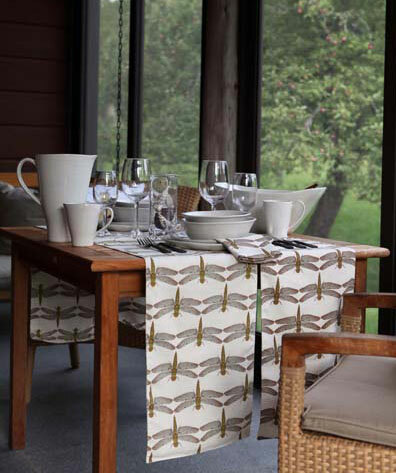 Everything is made by hand in their workshop in Vermont using traditional methods. I’ve always been fascinated by how these pieces are created. On a family trip to Italy a few years ago, we visited several glass workshops in Murano—I remember being so impressed by the demonstrations of traditional glass blowing techniques. It truly is an amazing craft. You can see a video of some of the Simon Pearce artisans in action here. 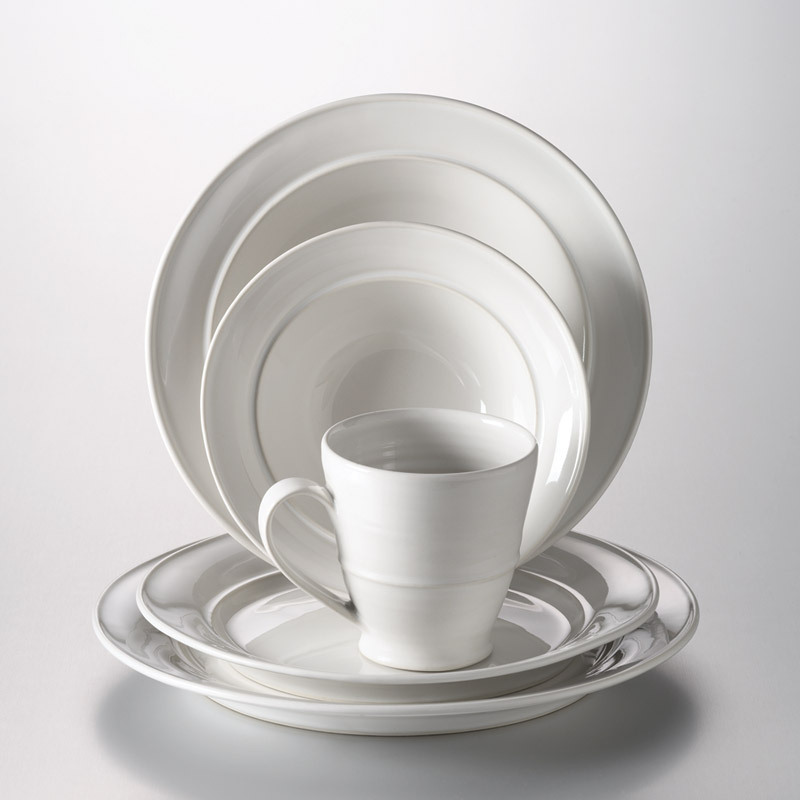 And here is a selection of some of my favorites from their dinnerware collections. This is is the Cavendish setting. I love the casual elegance and simplicity of the design. 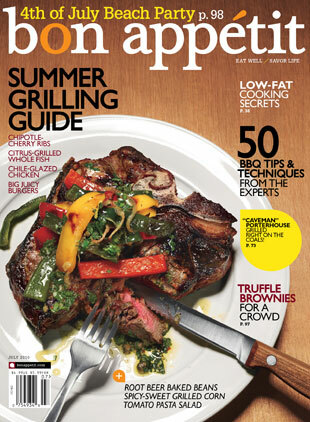 And here is the Cavendish setting again, but this time on the cover of Bon Appétit and with an incredible-looking steak on the plate, so you can better imagine what it would be like to actually use this setting! Food always looks more appetizing on a white plate, I think. The Woodbury collection is perhaps slightly more casual in feel, but it’s definitely my favorite. The pieces come in both round and square shapes, and in two colors (moss and birch), so you can mix and match them for a more varied table setting. They have a very organic feel to them, which I love. Here is the Woodbury setting in the “birch” color. It feels almost elemental, no? 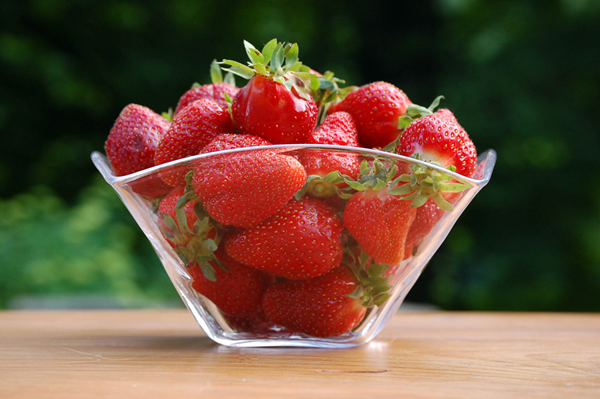 The Woodbury glass bowl is featured below, making those luscious-looking strawberries look perhaps even more amazing—offering understated flair, perfect for a summer cookout! And for the grand finale (cue the fireworks! 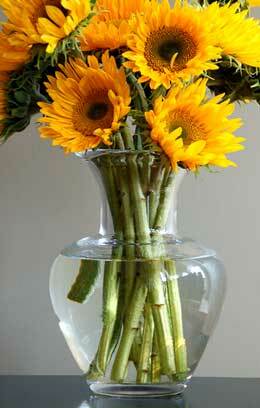 ), the Shelburne vase, which comes in a variety of sizes. Perhaps not surprisingly, I favor the large size—it really makes a statement! 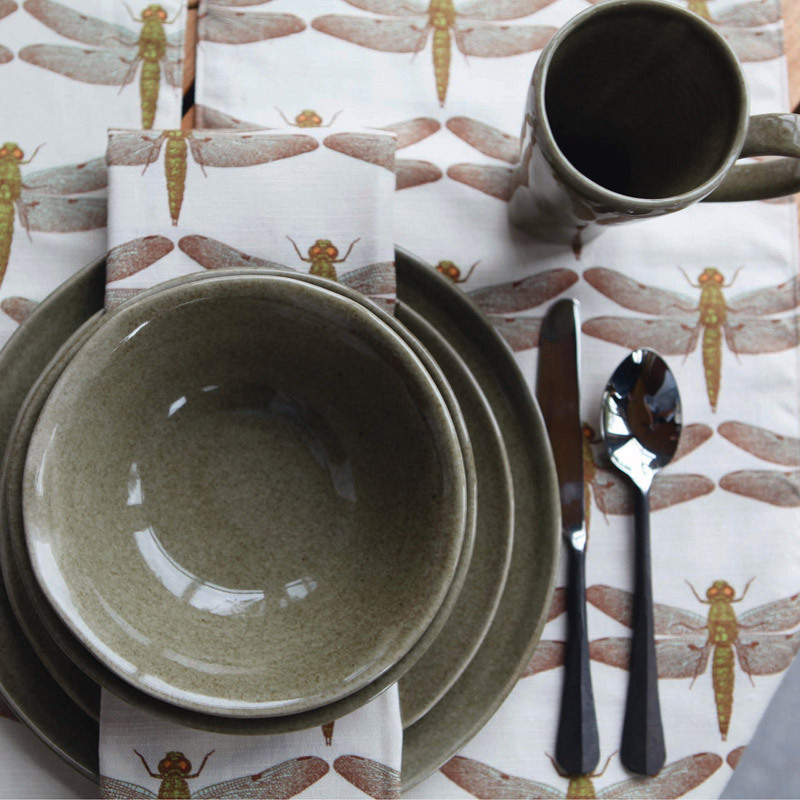 I hope you’ve enjoyed this mini-tour of some of the Simon Pearce collections; if you’d like to explore more of their glassware and pottery, you can visit their website, www.simonpearce.com. I haven’t been paid or perked in any way to blog about their products; I just think they’re lovely and wanted to share my discovery. 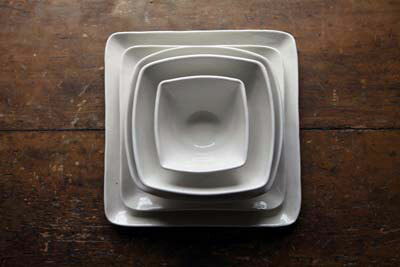 I love the round Woodbury in moss, I’ll take these for my “everyday” dishes! I approve of your choice. 🙂 I’m saving up for the Woodbury in birch.